The holiday season is a time of fellowship and thanksgiving when Americans exchange gifts and enjoy the company of friends and family. For the soldiers of the United States Army, this season has often been a time of sacrifice and hardship. The privations they have endured have kept our Republic safe and often brought victories against those who would destroy our nation. Never was this truer than during the bitter winter of 1776. By the autumn of 1776 the victorious British Army had driven General George Washington and his army of Continentals and militia from New York State. 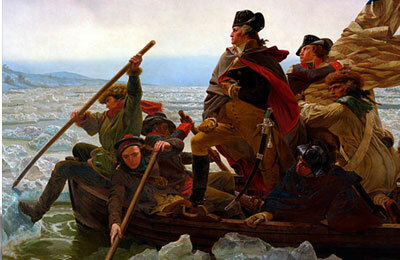 Washington retreated to New Jersey with the British Army in close pursuit, escaping finally over the Delaware River into Pennsylvania with about 3,000 men. The British then went into winter quarters in New York City, leaving garrisons at Newport, R. I., and in several New Jersey towns. 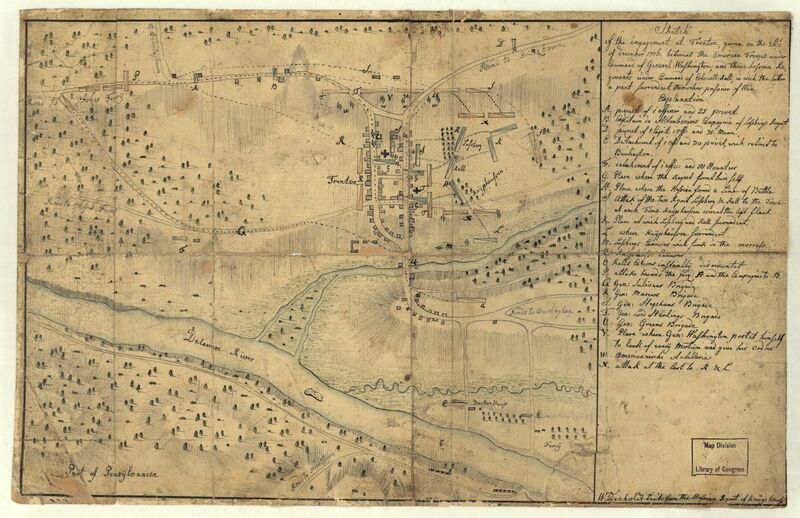 With the spirit of his Army flagging and needing to engage his veteran soldiers in an active operation before their enlistments expired, Washington decided in December 1776, to make a surprise attack on Trenton, garrisoned by a thousand Hessians, German troops hired by the British Crown to serve in the American war. Washington sought to achieve a striking victory that would lift American morale and renew faith in the cause of independence. 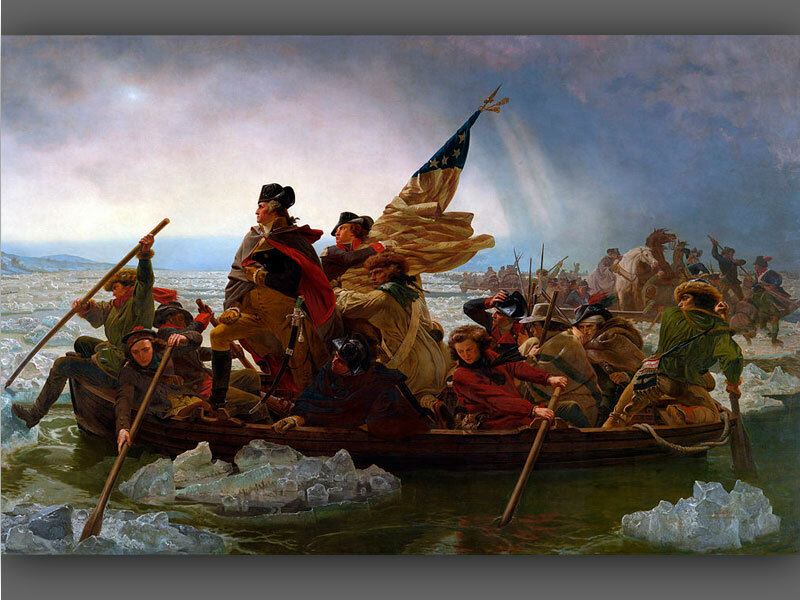 On Christmas evening Washington's ragged American army left its encampment and crossed the Delaware River in a driving sleet and snow storm. 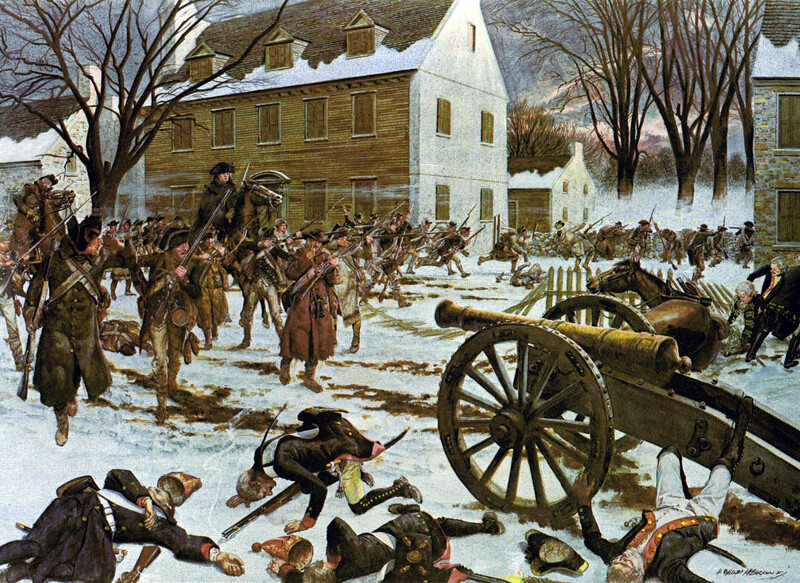 At dawn, 26 December 1776, the near-frozen Continentals surged into Trenton and caught the enemy by surprise. The garrison surrendered after a fight lasting only an hour and a half. Forty were killed and 918 were taken prisoner. The Americans lost only a handful of soldiers during the frozen march to Trenton and the combat of battle, including future American President James Monroe, who was wounded. Encouraged by this success, Washington determined to make another foray. 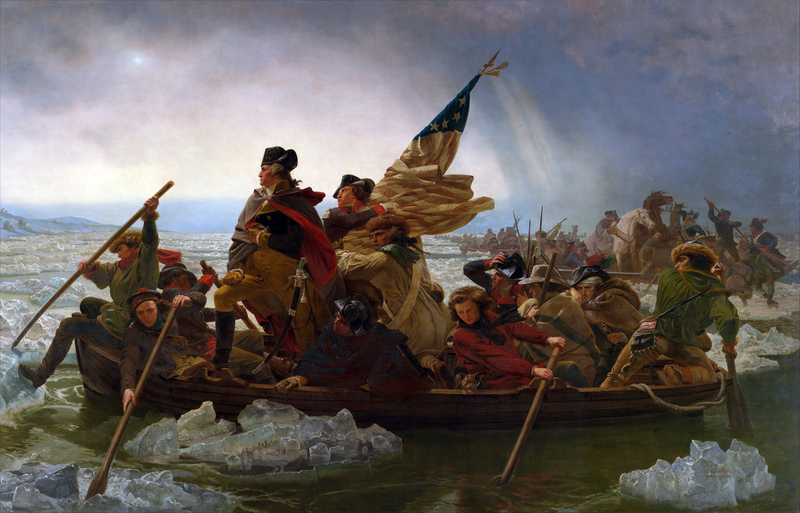 He again crossed the Delaware and had his weary troops in New Jersey by December 31. 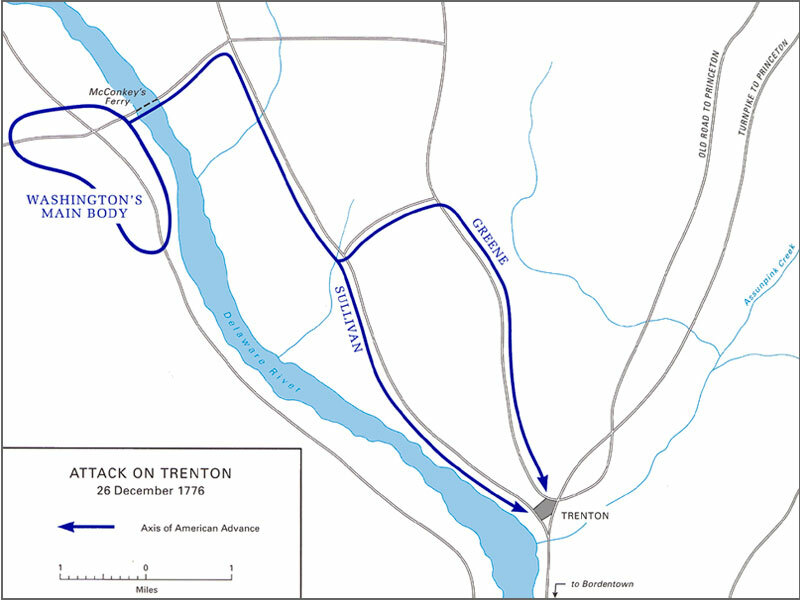 The British Army massed their scattered forces and confronted Washington at Trenton on January 2, I777, determined to engage and destroy the American Army the following day. In the night Washington slipped away, leaving the Continentals’ campfires burning brightly to deceive the British. 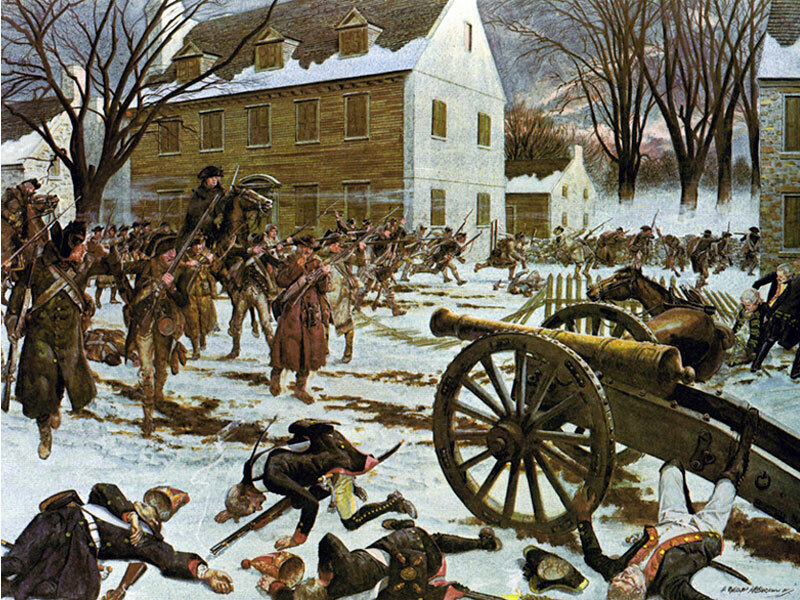 The next morning he struck another surprise blow at the British rear guard at Princeton, inflicting heavy losses. Washington then went into winter quarters in the hills around Morristown, New Jersey. The British had had enough of winter warfare and did not pursue. These two engagements assured the survival of a small core of Continentals and, in turn, the survival of the American cause of Independence presenting the gift of hope to a young nation. Since that bitter winter of 1776, American soldiers have celebrated the holiday season in diverse ways according to their location, mission and the various cultural traditions of the people they protect. Always, the U.S. Army has remained prepared to defend the Republic so that the hard-won gift of freedom may endure. 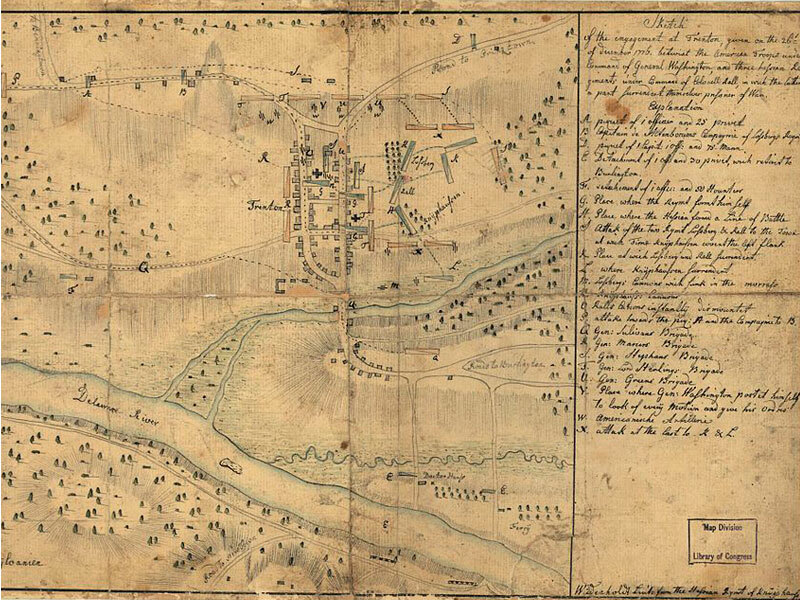 The plan of attack under Washington. 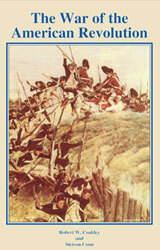 General John Sullivan was to advance from the south, and cut off the Hessian escape, while Greene was to surround the other side of the Hessians. 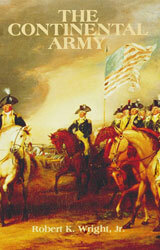 The Continental Army, by Robert K. Wright, Jr.